With Dave Miller unable to commit to the drive, trainer Daryl Bier has named Dave Palone to drive Wind Of The North in the Elitlopp. Gearing up for the trip to Sweden, Wind Of The North will face a tough assignment tonight at the Meadowlands in a prep for the Cutler Memorial. He was beaten last out at Chester as the 5-2 favorite, but Bier said you can put a line through that race. The Meadowlands feature includes several big names like 2013 Horse of the Year Bee A Magician and 2012 Hambletonian winner Market Share. The morning line favorite is Melday’s Monet, who is coming off a win in the Meadows Maturity. 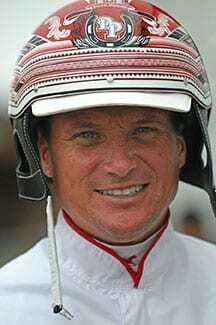 DW’s NY Yank, a winner of three straight in the open ranks at Yonkers, is also a threat.